One of the local yoga studios around here kicked off its "20 for 30" challenge, where the goal is to attend 20 classes in 30 days. This studio has held this specific challenge a few times before, and I think I was in teacher training during the last one, so I was already practically living at class most of the week and didn't make any major changes to my schedule. This time, however, is different. I'm still practicing most days, but certainly not every day, and I notice -- physically and emotionally -- when I take a few days off. (i.e., I am stiff and cranky!) So I decided to up the ante and attempt to not only make it to my mat 30 times in 30 days, but blog about it every day (!) and reflect along the way. Mine is pretty simple: I will prioritize what's important to me. To me. Things that are important: family, friends, faith, sleep, writing, reading, eating energizing foods, drinking water, being active, yoga, enjoying the sunshine. Things that aren't important: television, wasting time on the internet, lingering on social media (especially first thing in the morning or right before bed), gossiping, eating sugar, drinking too much alcohol, being lazy on the couch. You get the drift. Part of the busy complex that's going around is that we're all spending too much time doing the things we think we should do, instead of what soothes our souls and is important to us. Everyone's to-do list has some core items on it, like go to work, brush your teeth, pay your bills, etc. But with the rest of one's day, the little pockets of free time, notice what you're doing. Are you looking down at your phone? Zoning out in front of the television? Basically, are you wasting your precious time, your present moment being alive in this body, in this mind, in this spirit, in this life? Or are you cherishing it? Starting today, alongside that intention, I aim to practice #yogaeverydamnday and share thoughts about it here. Today, I made it to a 6 a.m. class and had the honor of practicing right between two friends, which always feels secure and fun. We exhaled the old, inhaled the new, and listened to our bodies. I noticed that my mind was ALL over the place, likely because of a very busy work week full of meetings, teaching yoga classes, all the new stuff I mentioned above and plenty of social obligations. Everything your mind is racing to, all the long lists and obligations and fears and anxieties, all those things will still be there for you after this moment; your hurried brain and your ego will still be waiting for you after class whether you relax right now or not. So you might as well embrace this time for yourself, this gift of yoga that YOU chose to prioritize today, and breathe. 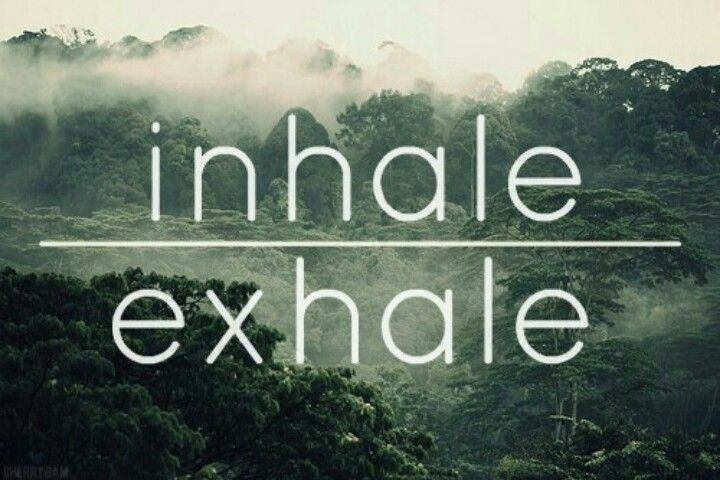 Exhale all the old, inhale all the new.